Whether you take to the skies for business trips or vacations, flying is something all of us do on a regular basis that we might take for granted – something that was a near miracle when it was first achieved in 1903 by the Wright brothers. Today you get the chance to celebrate aviation in all its innovation and glory with National Aviation Day, designated by President Franklin D. Roosevelt in 1939 to honor the August 19th birthday of Orville Wright of the Wright brothers. FDR issued the directive to observe the holiday with activities that promote interest in aviation. 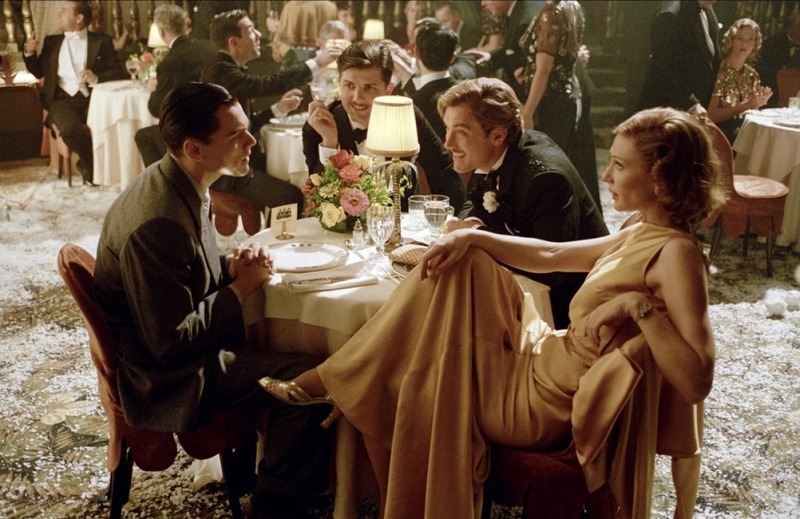 So on that note, today’s Inspired Style post is on The Aviator by Martin Scorsese. 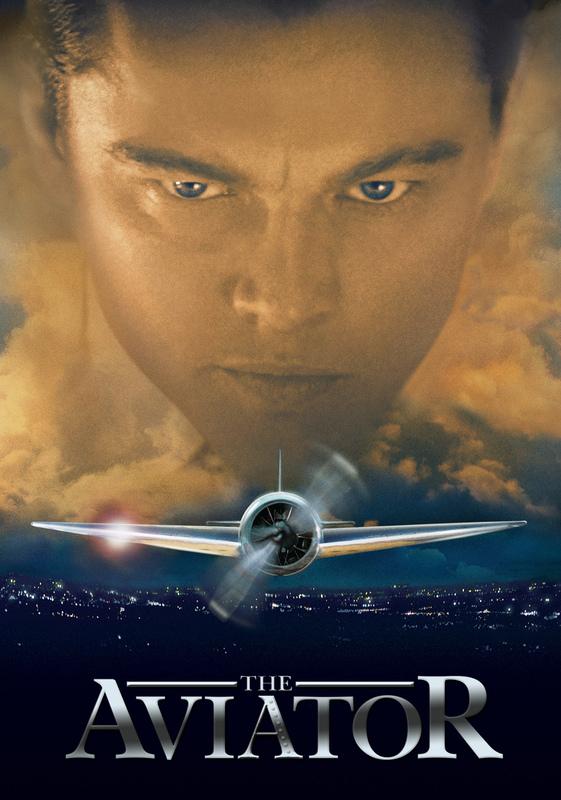 A biopic of aviation great Howard Hughes, the movie chronicles Hughes’ life as a gifted aerospace engineer, inventor, pilot, filmmaker, and business tycoon as well as his multiple Hollywood paramours and gradually worsening obsessive compulsive disorder (OCD). The Aviator is filled with well-recognized actresses like Katherine Hepburn, Ava Gardner, and Jean Hawlow, set against the glitzy atmosphere of Hollywood’s Golden Age. 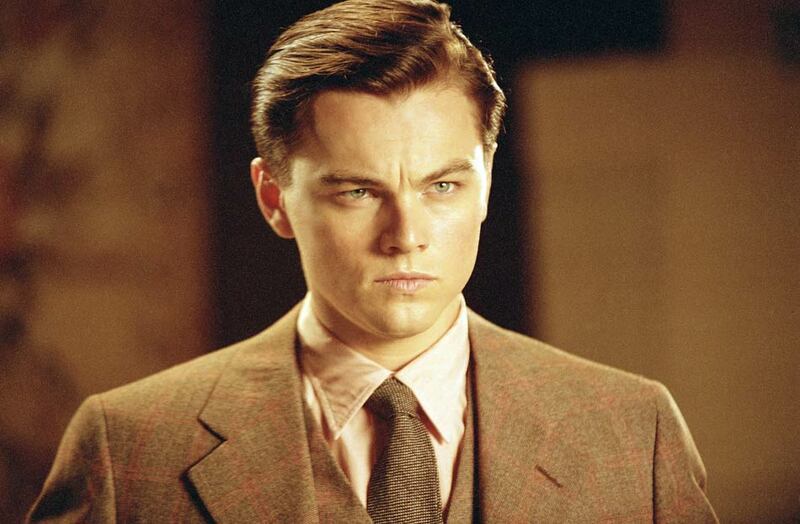 The women drip in diamonds, furs, and designer gowns, while Hughes (played by Leonardo DiCaprio) romances them in classic ‘40s dress shirts and pants. 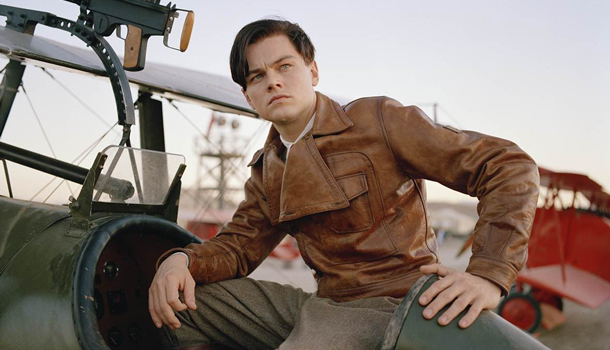 Howard Hughes may have been wealthy, but the clothing he wears in the movie is a good representation of how many men dressed in the era – pulled together, sleek, and gentlemanly. Men’s fashion trends changed throughout the ‘40s as the War came and went, but a few things persisted. What’s your favorite look or accessory from this era? For more Inspired Style posts, check out our Inspired Style category. (Images, Top to Bottom): Unscattered, Neogaf, The Ace Black Blog, Fame Images, Netflix Life.